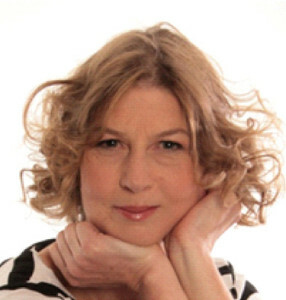 Anna Parkinson is an author and healer, committed to teaching clients how they can help to heal themselves. She was a BBC producer before she trained as a healer and massage therapist after healing her own brain tumour. Her latest book ‘Change Your Mind Heal Your Body’ describes her experience of healing and shows you how you can achieve this in your own life. Her earlier book, ‘Nature’s Alchemist’ tells the story of herbal healing through the life of her 17th ancestor and royal herbalist John Parkinson. Anna teaches healing workshops and gives talks about herbs and about healing. Anna uses the Body Mirror Healing technique developed by Martin Brofman, author of ‘Anything Can Be Healed.’ Using this powerful technique the healer acts as a mirror to the healee’s consciousness and can reflect back to them the tensions that have put their body or life out of balance. At the same time the healer readjusts the balance of their energy to bring about healing. Anna also uses Hawaiian lomilomi massage which is a gentle but profound massage technique that reaches deep into the client’s subconscious body to allow release and re-energising. Who are my consulations for? Healing is the bedrock of treatment for all physical and emotional tensions. Your body reflects your consciousness and this treatment will show you why and how tensions have arisen as well as making you feel different and better. It is used for anyone, from children through to octogenarians. Lomilomi is the perfect follow up or accompanying treatment to allow you to gently and enjoyably release nagging tensions that have been inhibiting you from expressing your power. If you like massage, you’ll love lomilomi. It’s the professional’s choice and is known to release waves of energy in your body. A Body Mirror Healing session costs £120. It last from 1 ½ to 2 hours and includes a free CD record of the healing feedback so the healee can reflect on the conversation at leisure.